I have a truckload of learning to do when it comes to sherry. Thankfully, I had the pleasure of attending a recent-ish sherry seminar featuring a wide range of styles from one producer, Lustau. Presented by Drake McCarthy of Europvin, it had me madly scribbling notes. Like port, sherry is a fortified wine. And, additionally, like port, it is a world unto its own, with different names and styles worthy of separate study. Here are ten things I picked up about sherry from Drake (quotes are his, except for that Shakespeare bit) that will pique your curiosity, and hopefully start you on your own exploration of sherry. 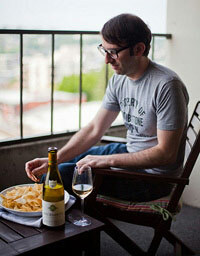 Smelling and drinking Manzanilla sherry is like “getting hit in the face with sea air.” Its salty tang is perfect for classic tapas like shrimp with garlic. Serve it “Champagne cold”. Sherry with sushi? Sure! Try the Almacenista Fino “José Luis Obregon”. But surely you can’t enjoy sherry with a steak, particularly a fatty ribeye? If you’ve got the Oloroso “Don Nuño”, yes you can. Lustau’s East India Solera sherry is created in a way that attempts to replicate the evaporation of wine in the steamy environment of a ship’s hull during the long voyage to India. The bodega where these sherry casks are stored is their most humid, and its soil floor is watered down to promote a sauna-like atmosphere. The soil used in the East India Solera is the same as in bullfighting rings: one that holds moisture well. Mixing up a Manhattan? Try replacing your vermouth with East India Solera sherry. Lustau’s Pedro Ximénez “San Emilio” is incredibly figgy. (Is that a word? Let’s just say its fig flavor quotient is off the charts.) Break out the industrial strength blue cheese, like Cabrales. Thanks to Drake, I am now aware of the word “organoleptic”. 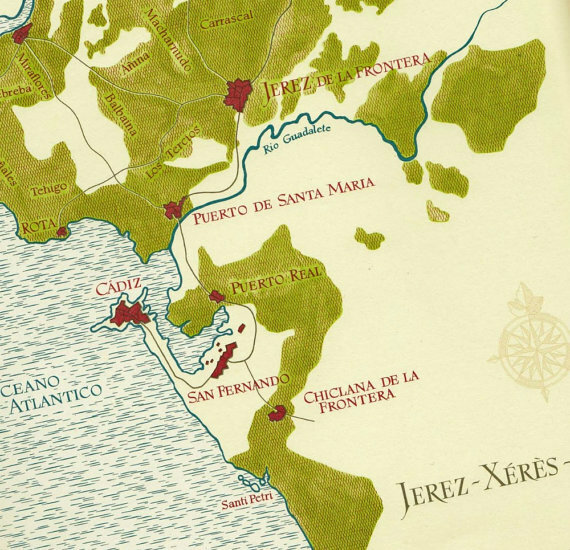 Explore the world of sherry and it its meaning might come to you naturally. 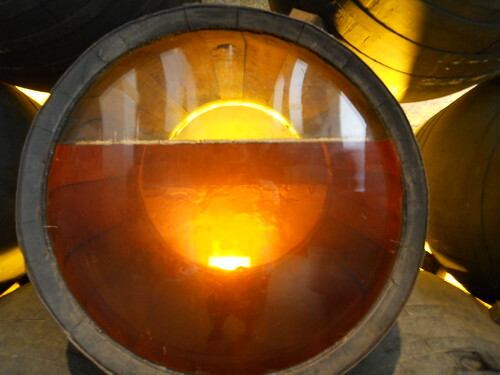 What’s going on inside a sherry cask? Photo courtesy Adam Solomon. Sherry Country map from Carambas Vintage; check out their Etsy store. Great quotes. They gave me, a sherry lover, a good giggle. And yes, I believe that figgy is indeed a word (For we all like figgy pudding, so bring some out here (we wish you a merry Christmas). Thanks. I thought that talking about sherry in terms of bullfighting, sushi, and steak was a novel approach. Big thanks to Drake for the perspective.